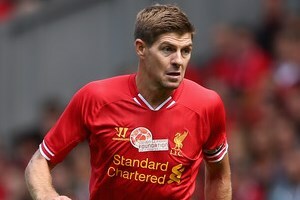 Steven Gerrard has admitted that he will use whatever influence he can to try and persuade Luis Suarez to stay at Liverpool. The Uruguay international striker continues to be linked with a summer shift to Arsenal but Gerrard, speaking ahead of England’s midweek friendly with Scotland, suggested he was confident the former Ajax star would remain at Anfield. “If I can use my influence to try to make him stay, I will try to do that,” he told Sky Sports News. “For Liverpool to move forward, it’s important we keep our best players.